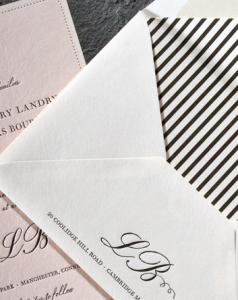 Smock is offering free outer invitation envelope printing on luxury bamboo envelopes through the end of the year!! For those of you getting married or planning a fabulous soiree in 2011, this is an incredible savings. Stop by Sweet Paper to peruse our box of Smock samples and find your dream invitation!